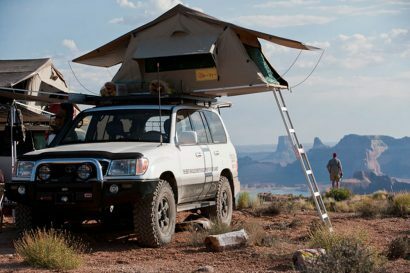 Adventure riders and overlanders in smaller trucks are often forced to leave certain luxuries, like the much loved grill, at home. Thanks to Chris Weyandt of northern Minnesota, that’s no longer necessary. 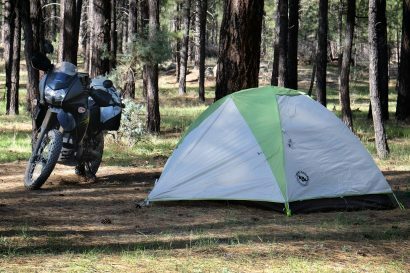 An avid backcountry traveler, Chris set out to design a compact grill solution he could use on his many hiking, biking, canoeing, and motorcycle outings. Drawing inspiration from the balsa wood airplanes of his youth, he came up with a simple design that packs flat and assembles in a matter of minutes. 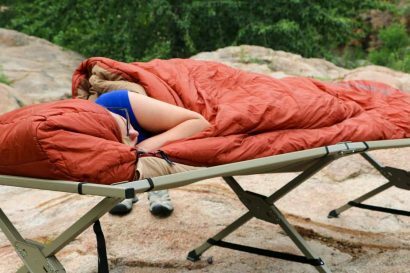 His Slatgrills have become popular additions to campsites all over the country and for good reason––they work. Constructed of the highest quality aluminum, stainless steel, and titanium, Slatgrills are laser cut for maximum precision. The Scout and and Summit grills share the same compact size with a 9 x 9 inch grilling area. The Summit is constructed of high grade titanium and weighs just 1.4 pounds. For our review, we chose the larger Trail model made of 5000 series aluminum with 304 grade stainless steel grilling slats. The grilling surface of the Trail is an ample 12 x 18 inches. The Trail grill comes packaged in a compact bundle barely larger than a folded newspaper. The high quality 20D canvas case stores the grill’s main components within neatly organized pockets. Additional cotton bags contain the stainless grill slats and chains used to maneuver the grill around the fire. Our Trail grill also included stainless skewers which have come in quite handy when cooking foods prone to fall through the slats like shrimp and small veggies. Assembling the Trail grill is a simple affair taking but a couple minutes and is easy to master on the first try. The stainless slats can be configured as necessary to support foods directly over the heat source, or as a support for pots and pans. 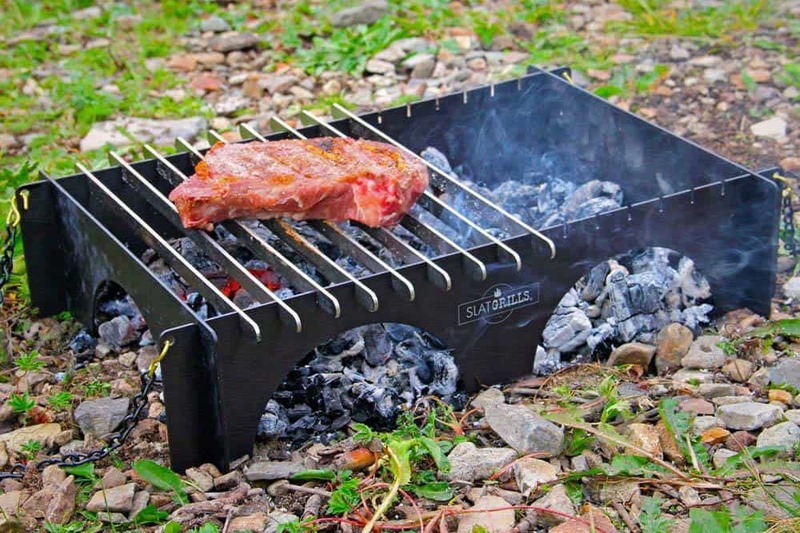 Many users of Slatgrills forgo the camp fire and use the grill as an enlarged cooking platform for traditional camp stoves. Whatever heat source you choose, Slatgrills provide a sturdy base on which to cook. In reviewing the Slatgrills Trail model, two things really stood out. The design is clearly a winner due to its simplicity, and the quality of execution is superb. This is a product designed, built, and distributed with American resources to the highest standards. From the cut of the metals to the stitching of the canvas case, Chris left no detail overlooked. That dedication to craftsmanship will provide decades of loyal service. If that doesn’t win you over, it also cooks a mean steak.